Home News trending Relax your self Witcher 3 Characters Are Turning Into Funko Pop Toys!!! Witcher 3 Characters Are Turning Into Funko Pop Toys!!! Image result for witcher 3 hd It seems like everyone and their mom has a Funko Pop figure designed after them, and now The Witcher 3: Wild Hunt does, too. The toy company announced today that five figures based on the RPG will release in January. Characters getting the Funko Pop treatment include Geralt, Ciri, Triss, Yennefer, and Eredin. There's not much to say about the way they look, other than the fact that they resemble their characters but with that signature Funko Pop look: big heads, black eyes, and no mouth. I'm disappointed there's no figure for Geralt's dwarf friend Zoltan Chivay, but you can see them for yourself below. No Caption Provided No price was announced for The Witcher 3 Funko Pops, but with existing figures normally sitting somewhere between $10-15, it's possible these could fit in that price range as well. As for other Witcher figures, Dark Horse revealed several toys of Wild Hunt's characters earlier this year. They're custom-painted and cost $30 each. If you're interested in something a little more expensive, then there's the $770 statue of Geralt. Only a thousand are being made, while a second version with a switchable head will be limited to 500 units. It stands at 26 inches tall and features lifelike skin. In related news, Witcher developer CD Projekt Red has responded to rumors that it's expecting a hostile takeover. "[The rumor] emerged after the [board of directors] suggested introducing a voting cap during the upcoming shareholder meeting. However, the proposal is not a reaction to any current events affecting CD Projekt," a spokesperson told GameSpot. "Rather, it is meant as insurance against future hypothetical scenarios which may never materialize. We wish to safeguard the interests of minority shareholders in a hypothetical case where a major shareholder emerges professing a business and strategic vision which conflicts with ours." It seems like everyone and their mom has a Funko Pop figure designed after them, and now The Witcher 3: Wild Hunt does, too. The toy company announced today that five figures based on the RPG will release in January. Characters getting the Funko Pop treatment include Geralt, Ciri, Triss, Yennefer, and Eredin. There's not much to say about the way they look, other than the fact that they resemble their characters but with that signature Funko Pop look: big heads, black eyes, and no mouth. I'm disappointed there's no figure for Geralt's dwarf friend Zoltan Chivay, but you can see them for yourself below. No price was announced for The Witcher 3 Funko Pops, but with existing figures normally sitting somewhere between $10-15, it's possible these could fit in that price range as well. As for other Witcher figures, Dark Horse revealed several toys of Wild Hunt's characters earlier this year. They're custom-painted and cost $30 each. If you're interested in something a little more expensive, then there's the $770 statue of Geralt. Only a thousand are being made, while a second version with a switchable head will be limited to 500 units. It stands at 26 inches tall and features lifelike skin. In related news, Witcher developer CD Projekt Red has responded to rumors that it's expecting a hostile takeover. "[The rumor] emerged after the [board of directors] suggested introducing a voting cap during the upcoming shareholder meeting. 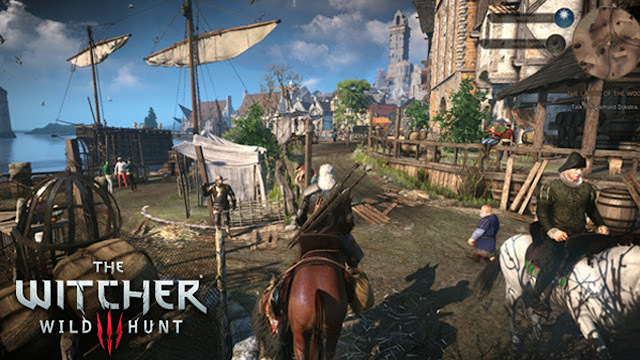 However, the proposal is not a reaction to any current events affecting CD Projekt," a spokesperson told GameSpot. "Rather, it is meant as insurance against future hypothetical scenarios which may never materialize. We wish to safeguard the interests of minority shareholders in a hypothetical case where a major shareholder emerges professing a business and strategic vision which conflicts with ours."